Today an article about a Polish citizen claiming indemnity for war crimes appeared on Spiegel Online. What follows is my translation of this article. "I burned like a living torch"
Winicjusz Natoniewski was five years old when the Nazis carried out a massacre in his home village, setting houses and people on fire. He survived the flaming inferno, and now he claims justice – but judicial authorities reject him out of fear about compensation claims in the billions. When the old man tells is story, the images from his childhood are immediately present again: the potato pit into which the father dragged the boy, and the burning house on the other side. "The hole in the basement filled with smoke. 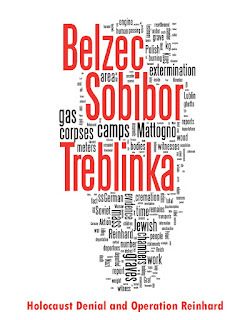 It choked me, I thought I would suffocate", Winicjusz Natoniewski remembers. It sounds like as if he were apologizing when he says: "I panicked and jumped out. But flames meters wide carried across the yard and grabbed me. I burned like a living torch." Winicjusz Natoniewski was five and a half years old on that 2nd of February 1944 – the day, "when the Germans came". In their hunt for partisans special units of police and Wehrmacht combed through the forest area around the village of Szczecyn in eastern Poland, home to the Natoniewski family. 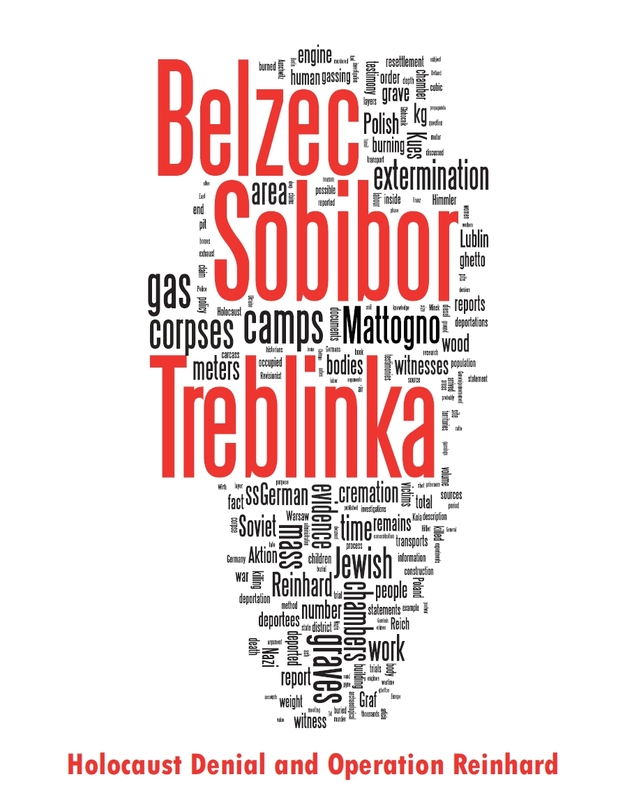 In the evening 368 people were dead, almost exclusively civilians, shot or burned alive. The Szczecyn massacre is one of the many war crimes, mostly not atoned for, that Hitler’s death squads committed in occupied Poland between 1939 and 1945. 750 comparable terror operations in Poland with at total of almost 20,000 murder victims have been researched by the late historian Czeslaw Madajczyk. The survivors and the families of many victims suffer from the consequences to this day. In their name Winicjusz Natoniewski has for years been fighting "for justice", as he says. He claimed indemnity from the German Federal Republic before Polish courts – so far without success. Now the 72-year-old man is going to the European Court for Human Rights in Strasburg. Pain and suffering can hardly be compensated by money. Nobody knows this better than Natoniewski. It is a miracle that five-year-old Winicjusz in 1944 survived the flaming hell of Szczecyn. "My father grabbed me and smothered the fire on the wet floor", he remembers. Again and again Natoniewski takes his arm to his mouth during the conversation, but instead of a hand only a balloon of skin with a few finger stubs emerges from the sleeve of his shirt. With it he tries to separate his lips distorted by burn scars. "At first the doctors wanted to amputate everything", he recalls, "but my parents denied their approval." Nevertheless his face, upper body and arms were burned to such an extent that Natoniewski remained disfigured for good. The old man claims 250,000 Euro as indemnity from Germany – money he intends to give to disabled children. Yet the Federal Government refuses this, because it fears indemnity claims in the billions in similar cases. The number of such cases amounts to 30,000 in Poland alone. Under legal aspects the matter is extremely complicated. The German Federal Republic’s Constitutional Court determined in 2006 that victims of war crimes are not entitled to individual indemnity payments from the German state (2 BvR 1476/03 – Resolution of 15 February 2006). Nationiewski therefore claimed against the German Federal Republic before Polish courts. But all instances up to the Supreme Court declared themselves not competent. They justified this with the principle of state immunity according to international law. This is also invoked by the Federal Government. "No state may be claimed against before the courts of another state", argues the Foreign Office in Berlin. "No state stands above another and is entitled to judge another state." Natoniewski’s Danzig attorney Roman Nowosielski sees it differently. "In case of war crimes and crimes against humanity the principle of state immunity does not apply", he says and points to "new tendencies in international law". Indeed there are precedents in Greece and Italy that apparently prove him right. The Supreme Tribunal in Athens determined already in 2000 that the families of the SS massacre at Distomo in the summer of 1944 are entitled to compensation from the German state. Does state immunity apply in case of war crimes? Only at the last minute the Greek government stopped an execution against German patrimony in Greece back then. Also the Supreme Tribunal in Rome sentenced the German Federal Republic in October 2008 to paying an individual indemnity to nine families of victims of the Arrezo massacre. In this little town in Toscana German troops had killed more than 200 people in June 1944, allegedly as a reprisal for a partisan attack. The parallels to the massacre in Polish Szczecyn and the Natoniewski case are obvious. Also in Italy 10,000 similar claims are in preparation, and Greek victim associations are still claiming billions in compensation from Germany. Does state immunity apply in case of war crimes? The Federal Government has requested clarification of this fundamental question from the International Tribunal in Den Haag. This court’s decision is still pending. Against this background Polish courts have so far refused to handle the Natoniewski case. Now the old man hopes for help from Strasburg. Attorney Nowosielski makes clear the whole absurdity of the procedure when he says: "We are claiming before the Human Rights Court against the Polish judiciary because it denies our right to claim. If we are pronounced to be in the right, Poland will have to pay for German war crimes in the end." In any case a shadow is cast on Germany and it handling of its own past, so often praised internationally. The main problem: the German Federal Republic has at all times selectively indemnified Nazi victims. The Jewish state of Israel received compensation. Later there was money for NS-victims in countries of Western Europe. Homosexuals, Sinti and Roma and resistance fighters got nothing for a long time. In the last but one action more than four million Euros from the foundation "Erinnerung, Verantwortung, Zukunft" ("Remembrance, Responsibility, Future") went to former NS forced laborers, mainly from Eastern Europe. But the Pole Natoniewski cannot be helped by the fund. After all Hitler’s henchmen did not deport him to Germany but pushed him into a flaming hell on site. I enjoy reading your blog attacking the hate mongers, but for some reason they have banned you and your allies. I hope they did realize you are fighting the Holocaust revisionists and anti-semites. "They" are a loony by the name of Carmelo Lisciotto (unfortunately there are loonies also in our camp, not only among the revis). You may read about the fellow here.